Salado is a very charming small village just off I-35 between Austin and Waco. Salado, incorporated in 1867, dates from the early Texas days and started with the home and plantation of Sterling Robertson. 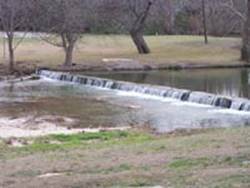 Named after the Salado (which stands for salty) Creek, this flowing spring fed creek provided a welcome oasis for early Central Texas visitors from native American Indians to Spanish and Mexican travelers as well as early pioneer settlers. The town prospered as a stop for the Overland Stage and Pony Express on the the Chisholm Trail and the founding in 1860 of Salado College helped the city grow. One of Salado's most well-known landmarks, the Stagecoach Inn, still stands as a reminder of the important role the stagecoach line played in the growth of the village. When the college closed and the new railroad bypassed Salado in the 1890's, Salado eventually dwindled to a small village. Today, Salado has grown into an artsy town with a fascinating collection of antique shops, art galleries, good restaurants, and other quaint shops. There are a number of very nice Bed and Breakfast accommodations in historic homes. Salado has 18 listings in the National Register of Historic Homes, some of which are available for touring. 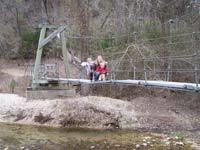 Salado's website states: "Visit Salado once, and it may well become one of your favorite Texas escapes. 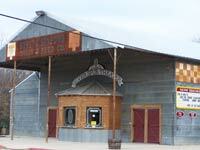 Salado, with 2,350 residents, is famous for its laid back atmosphere laced with the magic of days gone by. Innkeepers, restaurateurs, artists, shopkeepers, retirees, and long-time residents give the village its unique and delightful character." Salado provides a nice break for food, shopping, or an overnight stay if you are traveling north or south on I-35. There are over a dozen well maintained historic homes in Salado, some of which have been converted to restaurants, shops, or exquisite Bed & Breakfasts, which makes this a fun place to spend a weekend. 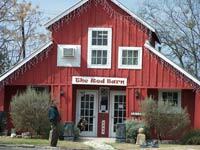 See Shopping and Sleeping in Salado for some ideas for a fun Salado Weekend. Take an afternoon art expedition, discover sculpture exhibits along Main Street from the sculpture park at the north end to the Stagecoach Inn at the south end – look for the Gnome on the Green Bridge and Selena and her catfish near the creek. Participate in the Arts, glass blowing, pottery making and painting. 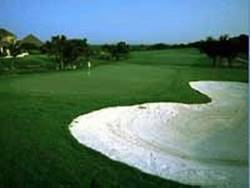 Salado has many skilled artisans who are happy to demonstrate their craft. If you dare. . .skydiving at the Temple Skydiving facility at the south end of town – follow the parachutes. Salado some fine wineries and craft beer makers who will be happy to serve you up a glass of extra special cheer. Look for the Barrow Brewing Company in the old Feed Store building. Johnny’s Outback is a live music venue showcasing big name country music artists. Annual Salado Smokin Spokes bicycle race benefits the Volunteer Fire Department. Salado Chocolate and Wine weekend – what a great combination!